SEASONAL - Call for accurate shipping rates. Palms are shipped one to two weeks prior to Palm Sunday. Ensure to carefully read palms care instructions. 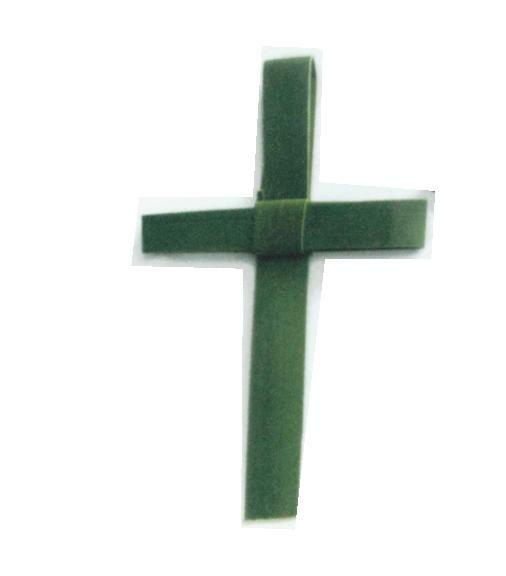 Fresh, Hand-Made Green Palm Crosses Folded 4-6”. 25 per bag. The orderer agrees this order is valid on behalf of the Church/Organization and on behalf of the successor Pastor or authorized orderer and agrees the order may not be cancelled or returned. We will however, make every effort to accommodate your needs. Prices may be subject to change.